Introducing Polaris' bold new innovation, the Polaris Sportsman Ace. Once again Polaris pushes the boundaries of the the offroad industry. The Sportsman Ace offers the best from Polaris' Sportsman and RZR lines and combines them in a one of a kind vehicle. 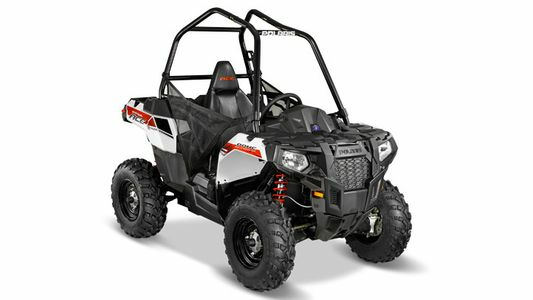 Here at SideBySideSports.com , we proudly offer a full line of Polaris Sportsman Ace Accessories. Our helpful staff can help you find the perfect Windshield, Roof, Mirror or Bumper for you Polaris Sportsman Ace. As always, give us a call with any questions.